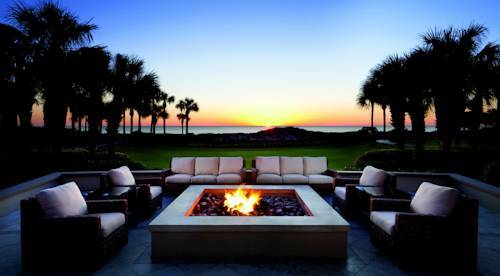 Omni Amelia Island Plantation is committed to providing our guests and members with a first-class golf experience. Named a “Top 121 Golf Resort in the World” by Conde Nast Traveler, our resort is home to three incredible championship courses. And it was recently selected as the home of Golf Channel's “Big Break: Florida.” We offer a golf pro shop, private instruction, equipment rentals, customized gifts and an extensive collection of golf accessories and sportswear. Tournaments or group golf reservations of 12 or more players can be made in advance and require a signed contract and non-refundable deposit. OAK MARSH GOLF COURSE A classic Pete Dye course meandering through creeks and moss-draped oaks. 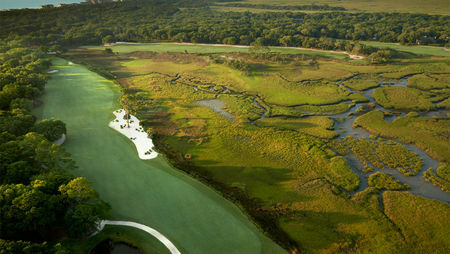 The Oak Marsh Golf Course is one of the truly classic Pete Dye-designed golf courses in the world. The course, built in 1972 shortly after the completion of the Harbour Town Golf Links at Hilton Head Island, South Carolina, is noted for its tight fairways and small greens, meandering along serpentine salt marsh creeks and through the moss draped heritage oaks for which Amelia Island is famous. At par 72, this 6,500-yard course has 14 holes with water hazards and numerous bulk-headed greens. 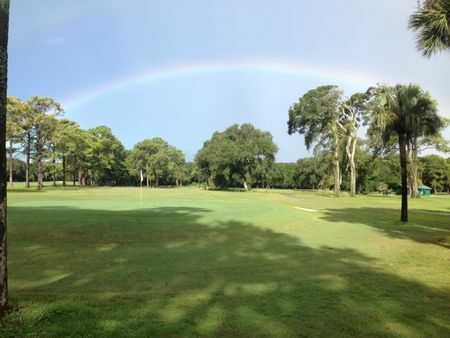 A variety of bunkers are placed throughout the course to add to the challenge, and a natural approach has been maintained as well with the use of coquina shell cart paths, native plant life and preserved habitats for the local wildlife. Walking is allowed after 4:00 p.m. Oak Marsh played host to the 1991 PGA Section Championship and 1992 Society of Seniors Championship. In addition, numerous resort tournaments are played here. Included in Golf Digest's prestigious list of the “Top 75 Resort Courses in the U.S”, Oak Marsh also was selected by Travel & Leisure Golf as one of ”Florida's 50 Finest Courses.” OCEAN LINKS GOLF COURSE Golf along lagoons, marsh wetlands and oceanfront views Winding along a coastal Atlantic dune ridge, Ocean Links #4, #5, #6, #15 and #16 provide golfers with five oceanfront golf holes. 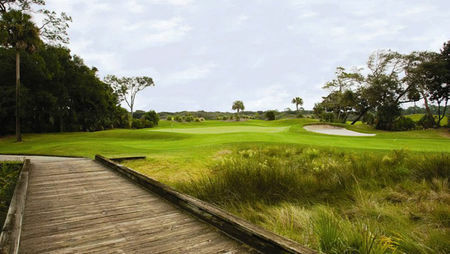 The fairways and greens are parallel to the beach on Amelia Island and meander through a unique coastal maritime hammock. Named by Golf for Women as one of the “50 Best Courses for Women,” this close proximity to the ocean and the ever-changing sea breeze provide the golfer with exhilarating views and intriguing play. Ocean Links has 10 holes that feature lagoons and marsh wetlands, in addition to concluding with a par 3 whose green is placed strategically in the waters of Red Maple Lake. 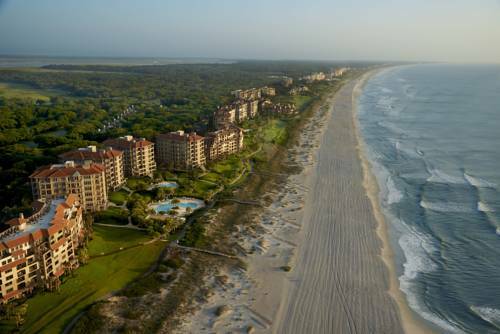 The course winds through six miles of the natural sand dunes and seaside terrain that make Amelia Island so special. It can be said that this course offers as much a nature tour as a round of golf. The course yardage of 6,300 is somewhat deceiving since small greens, narrow fairways and prevailing winds make the course play much longer. At par 70, this 18-hole combination provides a challenge to golfers of all levels. LONG POINT GOLF COURSE Award-winning golf along marshes, oak and pine forest and oceanfront dunes Completed in 1987, Tom Fazio's award-winning design challenges golfers with natural hazards, tight fairways and elevated greens. 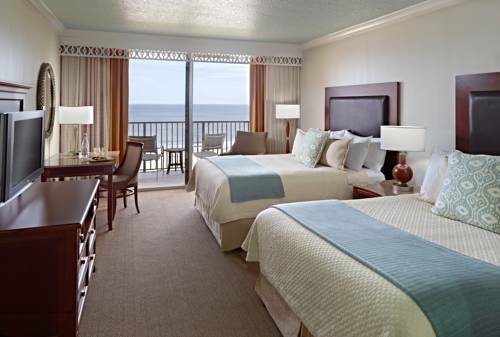 The rolling fairways wind through three spectacular and distinctive settings: the magnificent marshes, the thick oak and pine forest and the scenic oceanfront dunes. Long Point's character is shaped by natural waste bunkers, large undulating greens and our very distinctive back-to-back oceanfront Par threes. In addition, the golf course demands that the golfers shot carry the water hazard on eight different occasions. 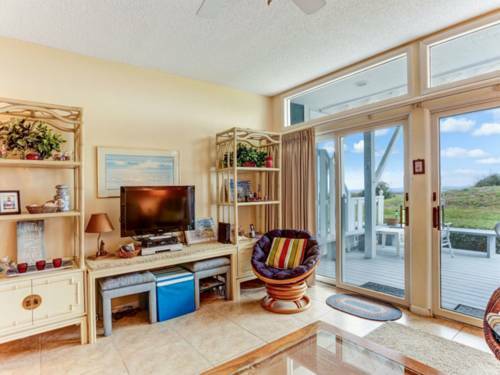 Many of these holes leave the casual observer with breathtaking views of the Amelia River and expansive salt marshes. Long Point is a par 72 course with a back tee yardage of 6,775 yards. It has been acclaimed as one of the “Top 50 Courses in Florida”, by Golfweek and one of the “Best Places to Play” by Golf Digest. The Florida Women's Amateur, Men's U.S. Open and U.S. 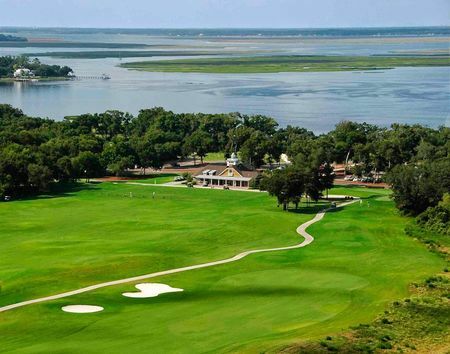 Amateur qualifiers have been held here in the past, in addition to numerous Amelia Island Club events and championships. 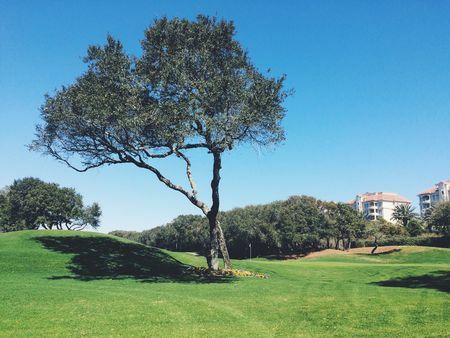 This course is also the primary course for our Amelia Island Club members. Resort guests may reserve tee times one day in advance, based upon availability. Ocean course and Marsh course both are challenging, really prefer the Ocean for the scenery. Conditions and staff are always perfect.